According to the experts from NIHSeniorHealth, some survivors may be unable to focus on the job at hand or have trouble remembering names and dates. It may take longer to finish tasks, because the patient’s thinking and processing seem slower. With older adults, it can be difficult to determine whether these changes are caused by aging or by treatment. These changes, sometimes called "chemobrain", can begin at different times. They can occur during cancer treatment or much later. The NIH experts say that the exact causes are unknown, but people who have had chemotherapy or who have had radiation to the head seem to be more likely to experience these problems. Talking with your doctor is the first step. Discuss whether medications, depression, problems sleeping, or anxiety might be factors. If these problems last for a long time, the NIH experts say, your doctor may suggest that you see a specialist who can help you. Here are some ideas that can help with your memory and concentration. *Write appointments, important dates, and phone numbers. Make lists and plans for your day. *Put small signs around the house to remind you of necessary tasks, such as locking the door. *When you’re doing a task with several steps, the NIH experts say, say each step to yourself. *If you want to remember something, repeat it aloud a few times. That can help you retain the information. The levels of post-treatment pain can vary sharply. Pain can be caused by the surgery itself, or the treatment, which can cause nerve damage in the hands and feet. Another type of pain, the NIH experts say, is called phantom pain. If you have had a limb or breast removed, you may still feel pain or unusual feelings that seem to be coming from the absent (phantom) body part. Many older people don’t ask for help because they may believe that the pain is part of aging, or that pain medications might cause them to become addicted. Still others, the NIH experts say, don’t want to be a problem patient or are afraid their physicians will start focusing on the pain rather than the cancer. 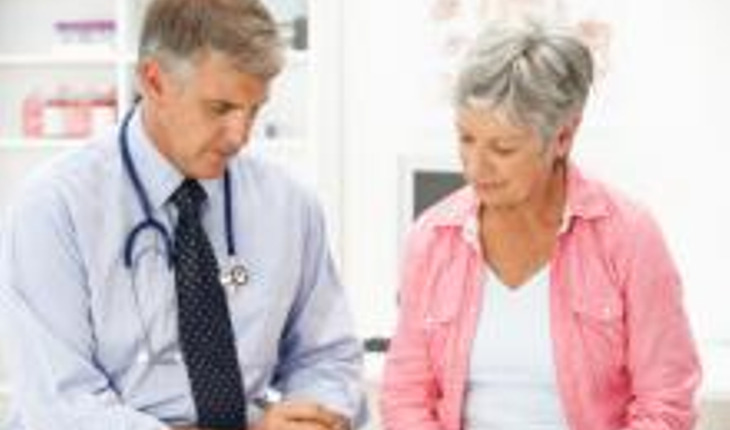 When you talk to your doctor, describe your pain and where it hurts. Say how it feels – sharp or throbbing, for example. Explain how often it occurs, how long it lasts, and what seems to trigger it, make it worse, or lessen. Tell your physician how the pain affects your daily life. how well medications have worked to relieve your pain. Based on an evaluation of your pain, your doctor may recommend medicine or other techniques such as relaxation, meditation or physical therapy. Sometimes cancer treatment can cause damage to your nervous system or problems with nerve functions. This is called neuropathy and the severity and symptoms vary widely from person to person. Neuropathy is more common in older adults. It can also be caused or made worse by other conditions such as diabetes, kidney failure, and malnutrition. Most people first notice symptoms, such as tingling or numbness, in their hands or feet. Other common symptoms include sudden or sharp pain, loss of sensation of touch or balance. You may also have difficulty walking, trouble picking up objects or buttoning clothes. Additionally, there can be a heightened or lessened sensitivity to heat and cold. If you start to notice these types of symptoms, talk to your doctor or health care professionals right away. They may suggest medications or approaches such as physical therapy. Here are some steps you can take to help manage nervous system changes. *Pay attention when handling knives, scissors, or sharp objects. Neuropathy can reduce pain sensation, so you could get a wound and not feel it. *Watch where you walk and if necessary, use a cane to help steady yourself. Remove objects that you could trip over. *Wear shoes with rubber soles. *Avoid extreme heat or cold. Wear gloves and hats when needed. For more information on senior heatlh issues, visit www,nihseniorhealth.gov.